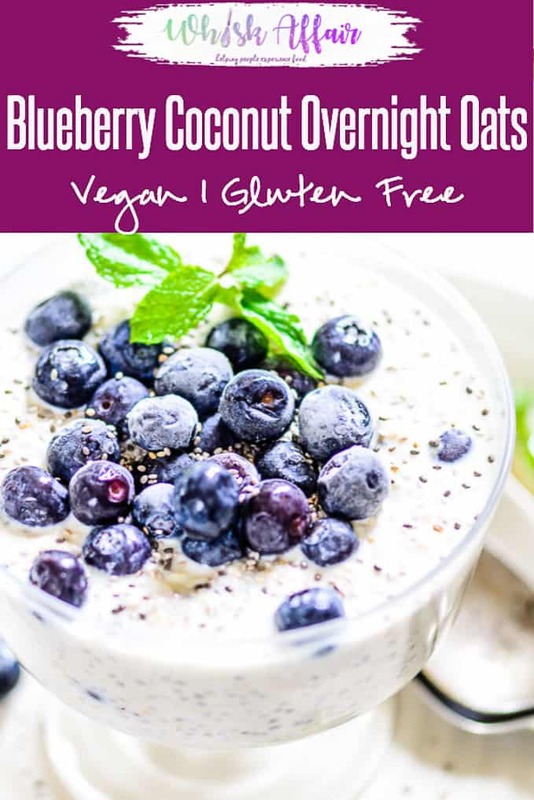 Blueberry Coconut Overnight Oats are a fabulous way to start your day. Super easy to make, healthy and very delicious, these will definitely win your palate. Here is how to make these. Overnight oats are the perfect healthy breakfast and everybody is on the lookout for great ways to make this no-cook breakfast delight more tasty and healthy. It’s become a new favourite and more and more people are taking to overnight oats to start their day, there is not butter or fats used to create this recipe. 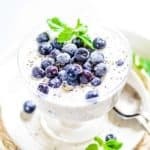 Today I’m posting a delicious Blueberry Coconut Overnight Oats, that’s full of the berry goodness of blueberries and a healthy touch of chia seeds. It takes a few seconds to prepare these oats the day before and as you wake up in the morning, voila, breakfast is ready. 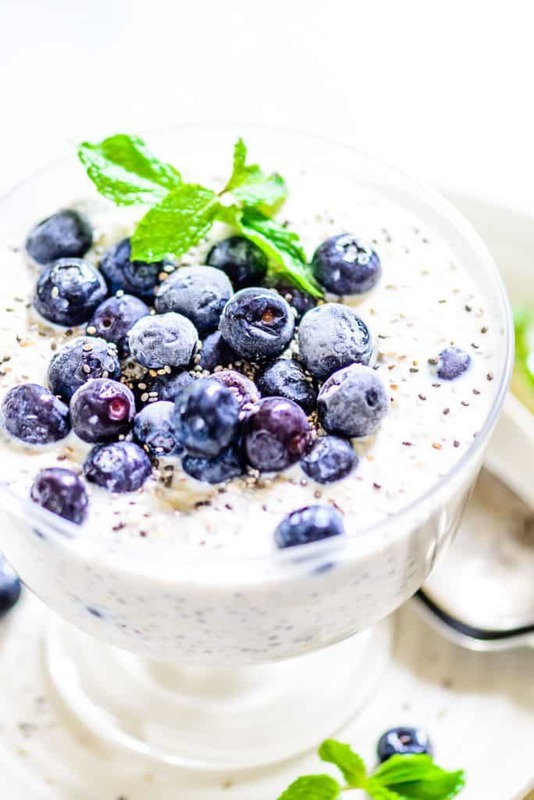 Chia seeds are a great vegetarian source of essential omega fatty acids and they are also high in proteins and essential minerals like magnesium, calcium, iron and antioxidants. The seeds used in the oats soak up all the milk and plump up, they also lend this overnight oats a brilliant texture. This overnight oats recipe requires very few ingredients and it is to be made the day before and popped in the refrigerator. 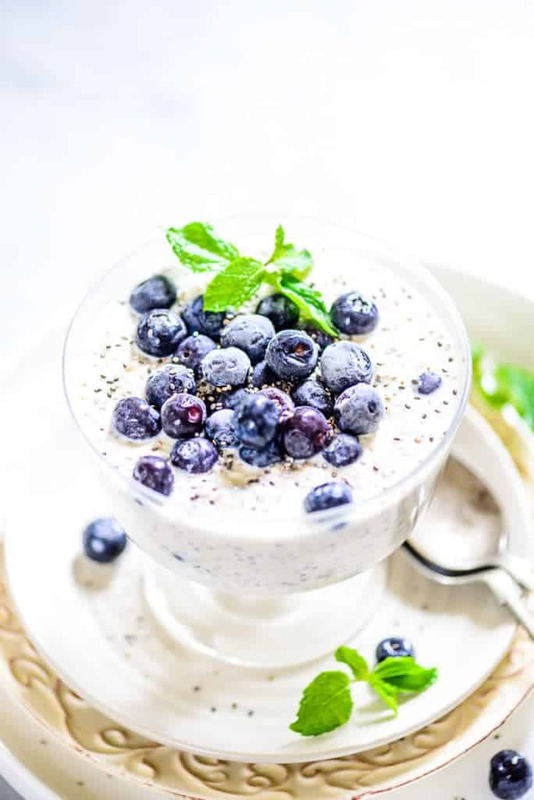 To make this delicious Blueberry Coconut Overnight Oats, all the ingredients like Greek yoghurt, low fat milk, coconut milk, instant oats, chia seeds, vanilla extract, honey and blueberries are mixed together in a bowl. The bowl is then covered and popped into the refrigerator to refrigerate overnight. The overnight oats are to be taken out and served chilled in the morning. Yes, it’s as simple as that. It’s a great and healthy way to start your breakfast, it also acts as a great substitute to store bought cereal as there is no extra sugar or preservatives added. If you’re not a morning person and hate waking up to decide on what to make for breakfast, this delicious overnight oats recipe would be a great one to try out. The best thing about overnight oats is that you can play with your favourite toppings and whip up a different kind every day. Oats are a great way of incorporating much needed fibre and nutrients. They also aid in lowering bad cholesterol levels and are packed with essential minerals like manganese, selenium, magnesium and zinc. Some of the other recipes you could try using oats are: Mango Coconut Overnight Oats, Peach Pie Overnight Oats, Papaya Boats, Vegetable Oats Khichdi, Spinach Oats Khichdi, Overnight Oats in Coconut Milk, Strawberry Oats Coconut Lassi and a simple Oats Banana Cinnamon Smoothie. So the next time, plan ahead and try this superb overnight oats recipe to enjoy a great breakfast the next day. Add more milk if the oats are too thick. Top with some more blueberries. You might also like these Overnight Oats Recipes.